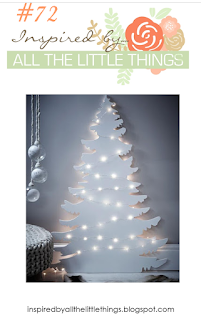 London Days: Inspired by All the Little Things/Muse take 2! Again the grey base on both the card and photo inspired. 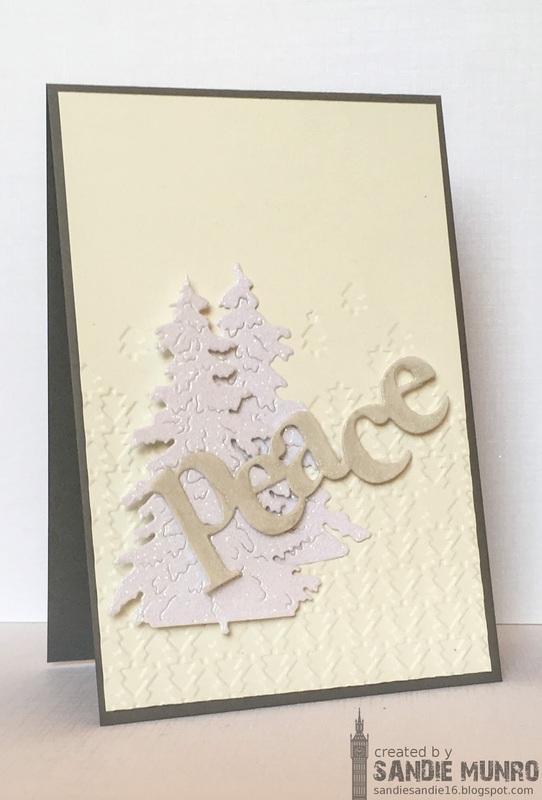 The glitter of the tree in both and the die cut in Ardyth's card. My 'peace' is actually covered in WOS but hard to see in the photo. Love that embossed tree background and gave me the chance to use cream and white together-a combo I love in card making. Fine colours; looks so elegant with them! Enjoy your weekend! Great textures! Thanks for playing with us at Inspired By! Great texture on this lovely card. Another gorgeous take on both challenges ! Love the textured background, it gives even more dimension to the card ! Very elegant in cream and white ! Thanks for inspiring ! Gorgeous! 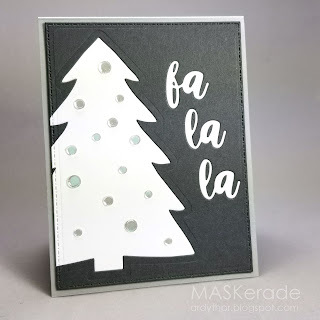 Those tree dies are fabulous and I love the textured card base! Love all the texture! Thanks for joining us at Muse this week! Another stunner, Sandie. I am loving the neutral look on this card.